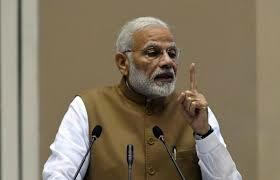 On Sunday, Prime minister Narendra Modi launched world’s copious health insurance scheme, which is promising free coverage for India’s poor citizens. Under this flagship program, which is dubbed as ‘Modicare’ will cover 40% of India’s 1.25 billion people, revealed in the federal budget, earlier this year. According to this scheme, 50000 rupees that are around $6900 will be provided to 100 million lower-income families, in annual health insurance to treat chronic ailments. The medical cards were handed by Modi at the launch in Ranchi, calling it a historic day for India. This scheme is expected to cost the center and 29 states government a sum of $1.6 billion per/year in total. The public health system of India is plagued with overburden and a shortage of facilities and people prefer to use private clinics and hospitals if they can afford. However, private clicks may cost 1000 rupees that are $15, which is a huge amount for millions who are living on less than $2/day. According to government’s estimate, more than 60 % of the average income of families in India goes on healthcare and medicines and many of the poor just go without it. According to a report published by The Lancer, an estimate of 1.6 billion deaths occurred in a year due to substandard healthcare, highest anywhere in the world. However, Critics are putting the question on government’s scheme of providing such kind of enormous safety and declaring it a tool for an election that will be held in next May. Modi is seeking a platform to launch pro-poor policies and ‘Modicare’ is said to be the key plank for the welfare of low-income Indians. However, main opposition parties like Congress, as the main critics as well, declaring it as a scam and will only benefit the private companies. On the other side, Cardiologist and former president of the Indian Medical Association, K.K. Aggarwal said that politics on public welfare schemes should stop. Concerns are also raised by some of the health care providers, about being left out of money and certain treatments are underestimated by the government. VivekDehejia and Rajiv Lall of IDFC institute think tank are saying that this scheme should include the day to day healthcare instead of secondary and tertiary care for more serious and chronic treatment. ‘Modicare’ does not expand to primary health care which is believed to be the weakest link in a sector of public health in India. India's Ola to compete with Uber on the soils of U.K.